Tensile Car Parking Shades Tensile Car Parking finds their most utmost way of protecting your cars or bikes. The Carports are available in a large variety of colors, sizes and even shape mode, with shelter for protecting cars from weather. The Car Parking Tensile Structure is very easy to erect, requires no weighty block, no weighty roof, but with the same performance, even better performance than conventional building. The Architecture is framed with metal frame, tensioned with cable, and covered with high performance membrane. 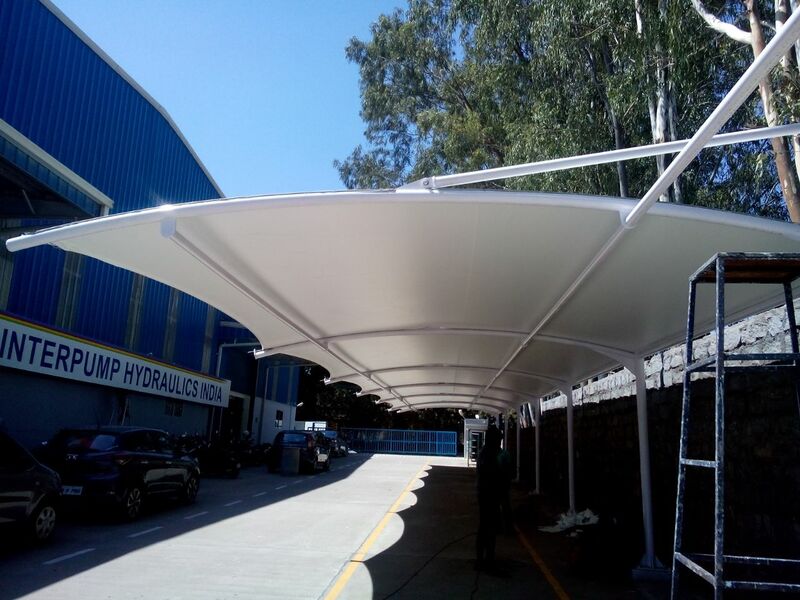 The durability and long lasting of Tensile Membrane Sail Parking Tensile Structure has proven its excelent quality by erecting in climates ranging from the frigid artic to the scorching desert heat. Excellent Performance The membrane sail using in Parking Tensile Structure is made of new-tech, polyester fabric, both sides are recoated with PVC and special coating--PVDF. Its frame, steel..
Canopy Dealers In Chennai Creative Interiors and Roofing’s have expert workforce, we are designing and developing a sustainable range of Designer Canopies. Moreover, these products can be customized in terms of size as per the requirement of our clients at market-leading rates.